Chocolate Week begins in Israel, spotlighting dozens of artisan chocolatiers that have sprung up in the past few years. 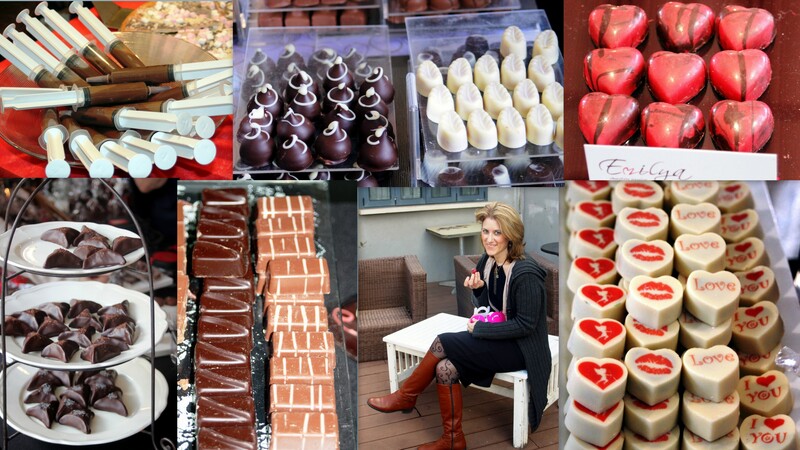 This photo collage was taken last year, on the 1st chocolate Festival in Tel Aviv. Feb. 9 will kick off Israel’s second annual Chocolate Week, when dozens of chocolate or chocolate-related businesses across the country will offer special deals. It will all culminate in a Chocolate Festival held Feb. 13-15 at HaTachana (The Station)—Jaffa’s historic railway station, which was recently restored and converted into an entertainment and leisure complex. This entry was posted in CHOCOLATE, Israel and tagged Chocolate, Israel. Bookmark the permalink.